News – Page 3 – LET'S TALK ROBOTS! New funding sources for robotics seem to be popping up everywhere. Today’s launch of Genesis Angels, the new $100 million VC fund, which is based in Israel but operating globally, is hot on the heels of the EC announcing that the next tranche of robotics investment is likely to be more than €600M ($774M). 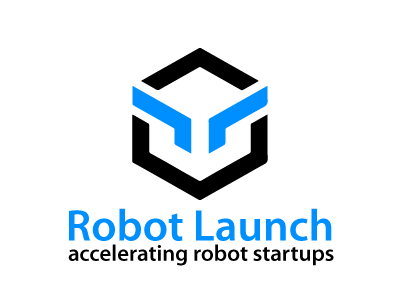 At RoboBusiness Europe, Libor Kral, Head of the DG Connect Robotics Unit in the European Commission, described this as the largest civilian investment in robotics R&D in the world, albeit closely matched by Korea. Kral added that not only was the EC budget for robotics increasing in the Horizon 2020 period (2014-2020) but that the new PPP or Private-Public Partnership program would contribute a hefty 70% plus 100% of overhead of each partnership. There are rumours of new funds launching in Hong Kong, China and India. With Genesis Angels based out of Israel and Grishin Robotics originally based in Russia, you have to ask what is the US doing. As defence funding for robotics slows, it seems that the US is relying on partnerships, providing the ‘talent’ and pool that everyone else wants to play in. Risky strategy if you can’t keep IP or ‘talent’ and don’t maintain a manufacturing infrastructure. Genesis Angel’s announcement comes shortly after another Israel/US partnership, the Technion-Israel Institute of Technology is partnering with Cornell in creating a graduate school for applied science and engineering (and entrepreneurship) in New York City. Already getting underway in temporary headquarters (at Google?) in Chelsea, the Institute will open on Roosevelt Island in 2017. The goal is to create another startup ecosystem, like Stanford/Silicon Valley and Route 128/MIT, where academics and industry can cross pollinate. The accelerator model is taking many shapes. Grishin Robotics has just invested in Bolt, the Boston based hardware accelerator, and Lemnos Labs in San Francisco is picking up more and more venture backing. Alongside virtual accelerators, ranging from crowdfunging, hackerspaces and Robot Launchpad, which is facilitating advisor, mentor and peer startup acceleration, you have the more traditional incubators in large strategic players. Companies like Samsung, Qualcomm, Bosch, GE, Intel etc. are more willing to take the long view when it comes to robotics and to invest in a company that may not deliver returns for 4 or 5 years. Of course, you have to have a big vision, that unlocks large revenue areas and that aligns with the company’s existing platforms, whether it’s chips, phones or appliances. It also helps if you call it “smart connected devices” rather than robotics. In my opinion, the International Consumer Electronics Show used robots gratuitously, out of context and without benefit to robotics companies. It’s a category problem more than anything else and is repeated across consumer electronics, media and popular culture. CNET used robots in the showreel for the “post mobile future of technology” panel, yet didn’t discuss automation or artificial intelligence. CES used robots in their general showreel, playing in all the shuttle buses and PR for CES2013, and yet buried the “robot tech zone” at the back of beyond. It would have been good to see the poster robot, Amp, in production or in person. Also, there were far more robots out of the robot zone than inside it. Robotics has jumped the shark. Consumer robotics is alive and well, but it doesn’t resemble the PR. We may have reached a tipping point where having a robot zone does everyone a disservice. Outside of a couple of very well known and popular robots, like Paro and Pleo, the robot zone was primarily filled with component company booths. 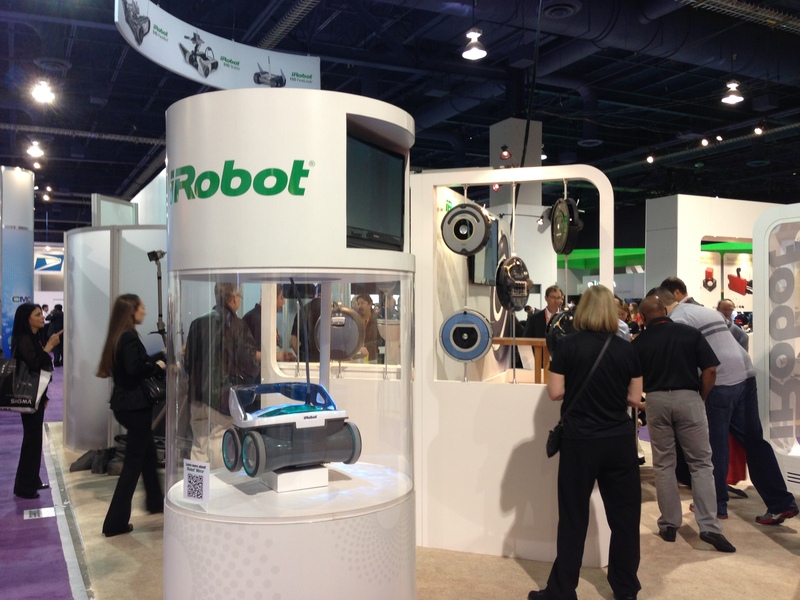 Most robot companies, like iRobot, were scattered across the entire show, staying closer to their vertical areas. Or they were in the new innovation and startup areas. And you couldn’t rely on the CES categories if you wanted to find a robotics company somewhere else. 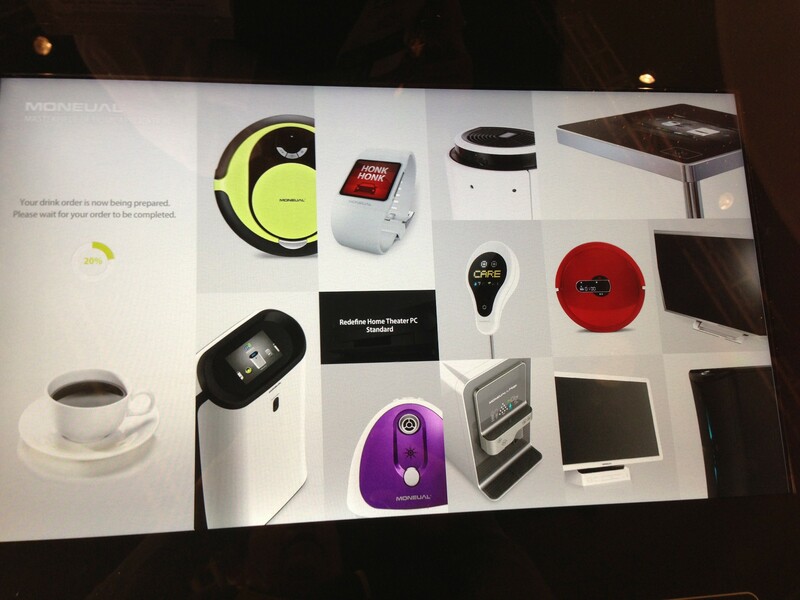 The CES 2013 official guide lists only 59 robot companies (and they are scattered across the whole convention area). It’s immediately obvious that major companies are missing from the list. iRobot, Parrot and Moneual all had “ROBOT” proudly posted all over their displays and were doing thriving business in the home appliance areas. However, they weren’t listed as robot companies. 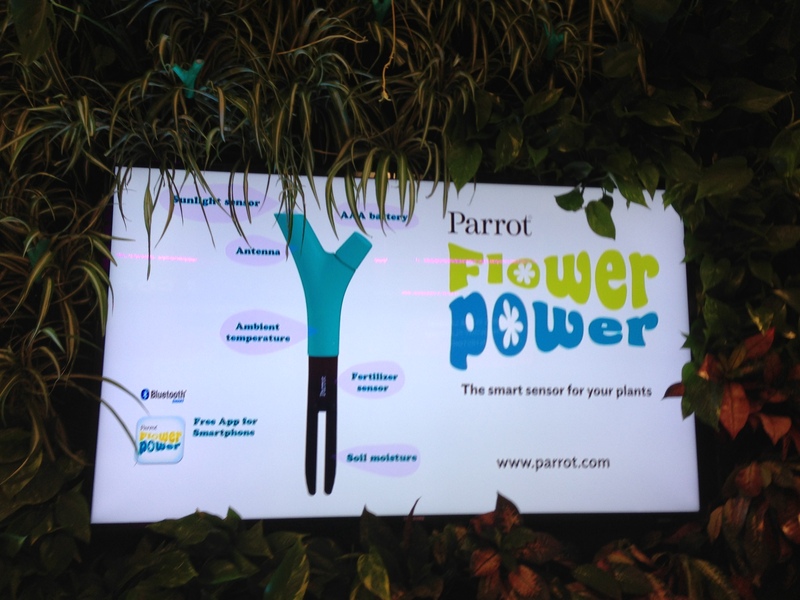 Parrot and Moneual are going head to head in the internet of things with their new smart pot plant sensors. And although they are reaching into other areas of automation and robotics, Moneaul in particular was milking the packaging device of calling everything a “robot”, with their robot vacuum, mop and air purifier. There were also some great robotics companies in the Eureka Tech Zone with Modular Robotics, RoadNarrows, Interbots and Robotex, to name just a few. 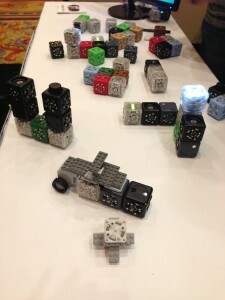 Modular Robotics new Cubelets kit is both cheaper and better. They’ve added a lego conversion, so that you can attach lego to your Cubelets and go wild building. They’ve also added a bluetooth cube and made them hackable. 🙂 Interbots had their new soft touchable and expressive robot toy aimed at children with autism spectrum disorder. RoadNarrows was displaying a nice lightweight 3D printed 5 DOF robot arm and 3D vision system, which highlights the changes that digital manufacturing processes are making in robotics. 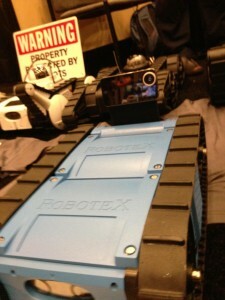 And Robotex were selling a light weight consumer version of their security robotic platform. “Avatar” is ios and android compatible, via bluetooth and is open source. 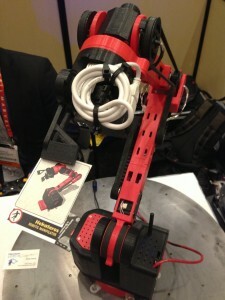 Avatar also comes from a company that knows how to build reliable and robust robots and is selling for only $299. There is also plenty of robotics hidden in the automotive sections. 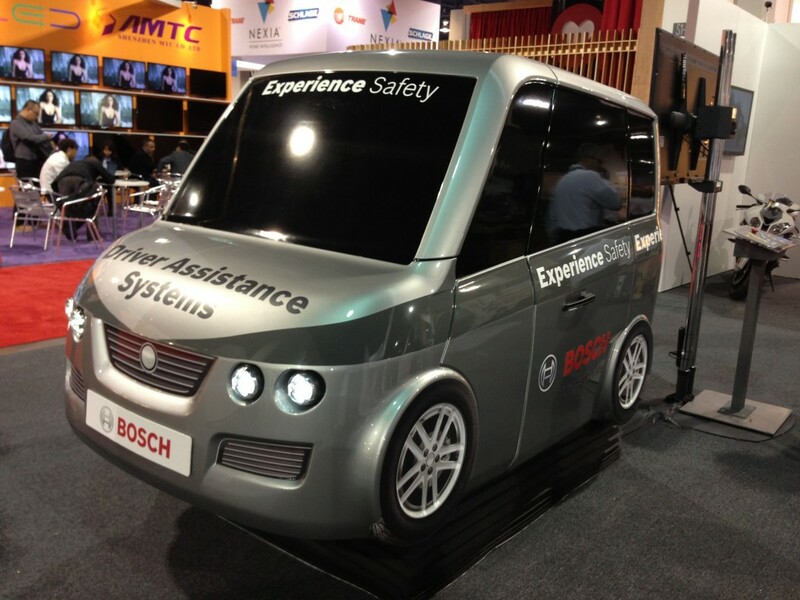 (Most of the buzz I heard at CES was about driverless vehicles and assistive technologies.) But it’s clear that car companies don’t always see much benefit in identifying as a ‘robotic’ technology. There’s the problem. What is the benefit to a robotics company in being categorized as ‘robot’ when your market may be home automation or health care? And it was sad not to see Amp in ‘person’. It sure looked like Amp was the poster robot for CES and yet production has been on hold since the recession hit. Robotics is still the picture rather than the story at International CES, the largest innovation and consumer electronics display in the world. When CNET’s Next Big Thing panel discussed “What is the post mobile future?” the showreel used pictures of robots to illustrate themes of connectivity, internet of things, and sensor data networks. All connected to smart devices. Cisco predicted that there’d be 1 trillion connected devices in the world in 2013.The post mobile future is actually more of a ‘plus mobile’ future. Although there is a small robotics area at CES, the majority of robotics companies are spread across the entire show, depending on the market. The driverless cars, or assistive automotive technologies were creating a lot of buzz in the first few days and the smart money is on the home and yard care robots, rather than the toys or telepresence robots, to make the strongest impression on the consumer market. The other most exciting new industry is 3D printing or additive manufacturing, which many call a robotic technology. New manufacturing and prototyping techniques are already spawning a range of new products and services, both directly and indirectly. In general though, it’s the category creep that makes the strongest impression at CES. Many speakers in panels touched on the process whereby devices add functionality that ultimately change their core use case category. CEA, the Consumer Electronic Association, tracks 8 categories at CES, in descending market share order; Information Technology, Communication Devices, Video Technology, Electronic Gaming, CE Accessories & Media, Automotive Electronics, Audio Technology and Home Technology. The categories which have grown most over the last 5 years are IT and communication devices, with a comparative decline in gaming and video. This is in large part due to the rise of the mobile multipurpose (communication) device aka the smartphone. While consumer robotics is still just a fraction of the robotics industry, the overall CE industry is growing. 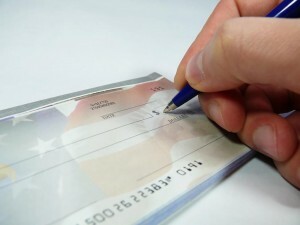 Sales in the US are projected to grow 2.7% in 2013 to $206.9 billion. The global forecast is for more than $1 trillion in global consumer technology spending. CES launched 20,000 new products, to 150,000+ attendees over 3 sprawling venues, in a tech showcase so large that you need golf carts and shuttle buses and a whole week to see it all. Only 59 companies identified as a “robotics”. But keeping a sense of proportion, CES is not the biggest circus in Las Vegas. The largest annual convention here is Cowboy Christmas which covers 4 convention centers and includes the Wrangler National Finals Rodeo. And the runner up is World of Concrete. Berg’s Little Printer – another ‘appliance with attitude’. increase in funding for robotics, both industrial and consumer (eg. 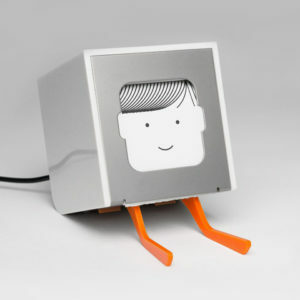 Double Robotics, Y Combinator applications, Grishin Robotics, PCH International, Lemnos Labs, Haxlr8tr and the success of consumer electronics on kickstarter generally). 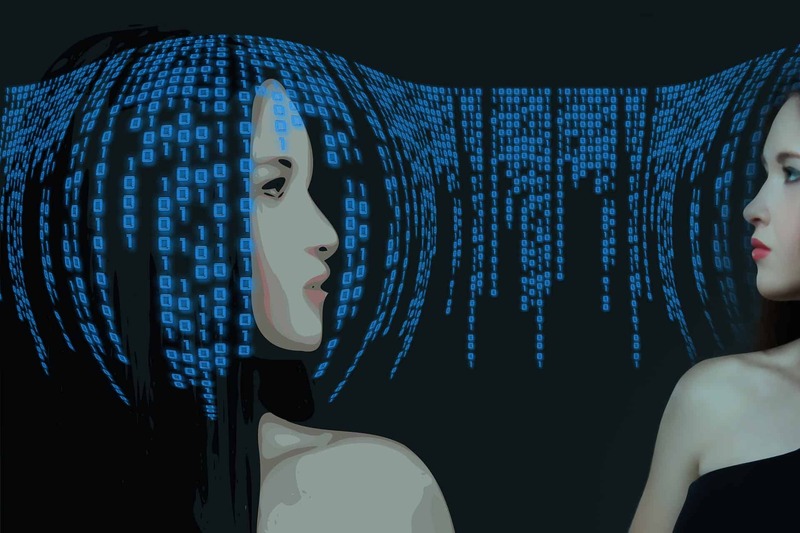 invisible robots – robotic technologies being incorporated into many devices without our explicit knowledge – we now expect smart devices to respond to our commands – in our vehicles, our homes and our workspaces – we now expect to have a range of interfaces to communicate/control devices. smart phones etc – almost everyone carries around a small computer these days. increased connectivity – not simply cloud and internet although that’s big too – those pocket computers can be really effective when they can wirelessly connect to devices around us – pocket robot controllers allowing for cheaper, smaller robotic devices. increased outsourcing of sensors and intelligence, not just computing power, into our daily lives via the devices around us will allow robots to work for us in more useful ways. Finally, coming over the horizon is the huge potential for new forms of visible robots (using technology trends like ‘soft bodied robotics’) which do things we haven’t really thought of yet. The democratization of robotics technology means that robotics is no longer the preserve of military and industrial applications. Robots are becoming more affordable for the long tail of niche applications in the consumer space. That robotics is finally trickling into the consumer space opens Pandora’s box on all the things that robots might be able to do that haven’t had a large enough proven market to warrant investment in the research and development. Combined with the emerging maker movement, we are entering an age of consumer robotics products and components which can be customized for new use cases on demand. This trend towards ‘bespoke robotics’ is going to catalyze increasingly viable commercial development of robotics components and interfaces. One end of this is going to be the home vehicle modification space, where aftermarket robotic accessories will enable people to add sensors, collision avoidance mechanisms, auto park etc as aftermarket. This is a highly regulated space, but one in which a huge market is clear. At the other end of this is the fashion industry, rather than the health industry, which will be comparatively unregulated but incredibly creative and fast moving. Think of FitBitz on steroids. Literally. What if I want my clothing to change color when my mood changes. What if I want my clothing to become armor in a collision/violence situation. What if I want my clothing to send messages to me or my friends when we are proximate. What if I want my clothing to act as an exercise machine and provide resistance. Or the opposite, can I engage additional strength to help me lift objects, my shopping bags etc. Having rhapsodized about a future that is still someways off, I’d like to close by saying that for me the robot achievement of 2012 isn’t Baxter from Rethink Robotics. It’s Autom, the robot weightloss coach now on sale, by Cory Kidd and Intuitive Automata. 2010 marked the emergence of crowdfunding for internet of things and consumer devices. 2011 was the year of smartphone robots. 2012 has seen the consolidation these trends into funded startups with strong retail markets (eg Orbotix, Romotive) and the emergence of a new genre of consumer robot – the lifestyle robot. As a consumer, I’m absolutely willing to buy a robot (or smart device) that helps me achieve lifestyle goals, as long as it’s affordable (<$500), easy to interface with (voice/touch/smartphone) and does one thing well. We’d all love to have a general purpose household robot but Rosie Jetson just isn’t ready yet. I’m happy to have several small affordable robots that do just one thing well. One to vacuum, one to fold clothes, one to help me lose weight. You could say that these are just appliances, and that would be correct. But the research behind Autom confirms that people like to interact with embodied devices that can engage in a social relationship with us. I see the future of robotics as ‘appliances with attitude’.